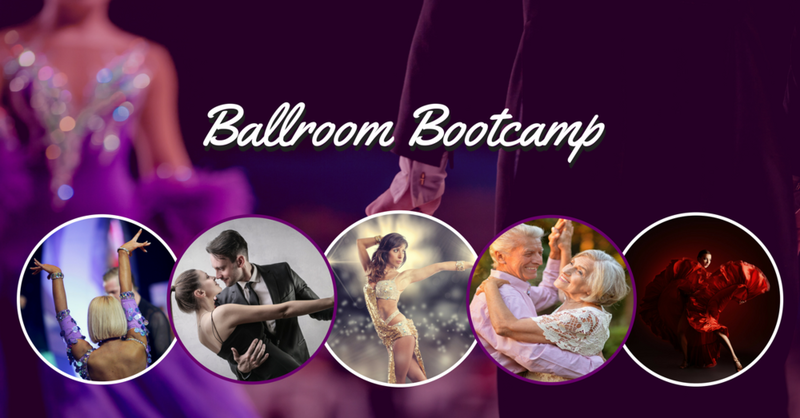 Our Ballroom Bootcamp is a FOUR week class and will be held Thursday's in March, starting on April 5th at 6:45 pm. This class is designed for NEW students with little or no dance experience. We will show you just how easy it is to learn by introducing our 4 elements, and then we will use the elements to create some of our most popular dances, like the FOXTROT, WALTZ, RUMBA, and SWING! This class is only $60 per person, and if you pay online, it is only $50! Hurry and sign up today, space is limited!